Click on one of the artists to see their portfolio. We work with 3 talented artists. 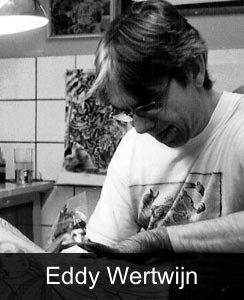 Our artists are: Eddy Wertwijn, Jimmy Arkenbout and Max Melo. Every artist has his or her own style. 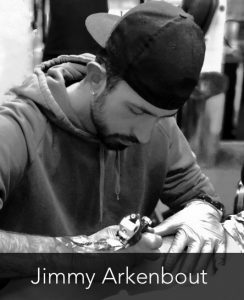 Of course it’s your choice by which artist you want to get your tattoo. Can’t make a choice? 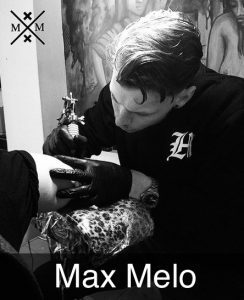 Than we will gladly suggest you the right artist for your tattoo. This is possible through mail but best to stop by ofcourse. Because we work with 3 artists we can offer a huge variety of styles. Think of: Traditional old skool, script (writing), Japanese / oriental, sugar skulls and much more!